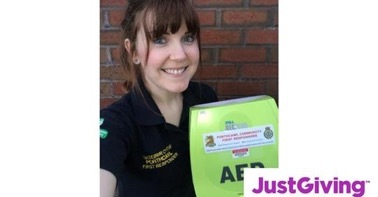 Our very own Celyn has signed up to complete the ‘BeGung Ho’ 5K inflatable obstacle course at Singleton Park in Swansea this coming April with the aim of raise money to fund another Public Access Defibrillator in Porthcawl. 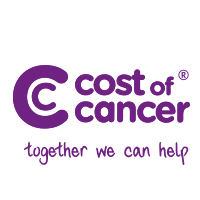 She is a very brave lady, please support her in this cause if you can by visiting her 'Just Giving' page (by clicking on her image below) and pledging some money. Thank you in advance and good luck Celyn. 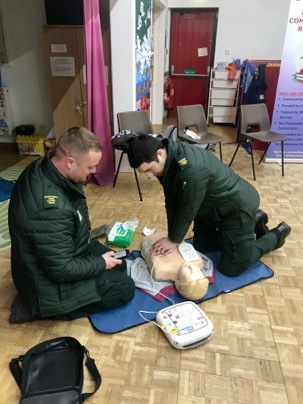 In support of the PADS recently installed at the Old School Room on Newton Green and Nottage Stores we held two 'CPR & Defibrillator Awareness and Practical' sessions at Newton and Nottage Church Halls towards the end of February 2019. 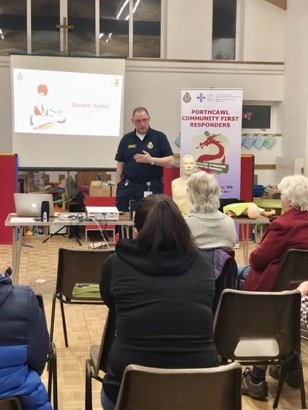 The attendance over the two sessions was superb with over 35 people attending, all of which got totally involved in the practical sessions around CPR and the use of a defibrillator. 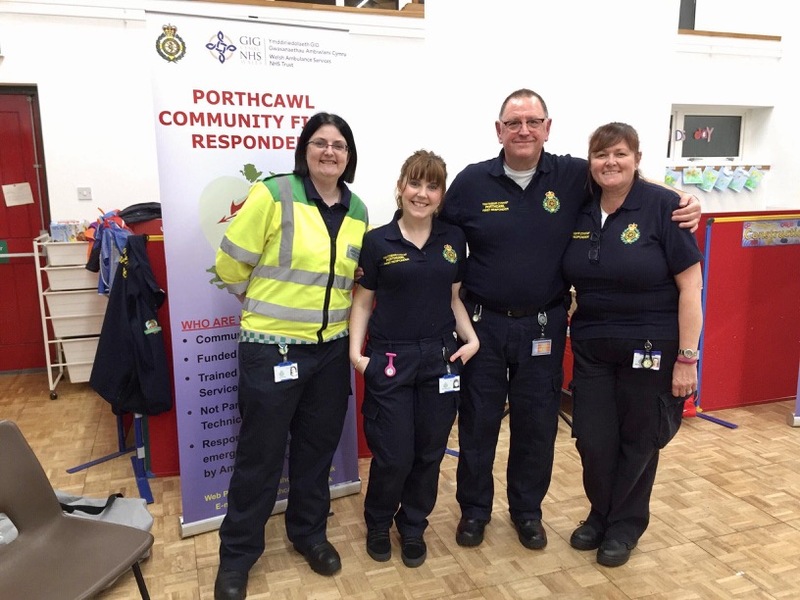 Even some Welsh Ambulance Service Paramedics got involved and had a go. Our thanks to the Parish of Newton Nottage for the use of the halls and to the local Co-op for the refreshments. 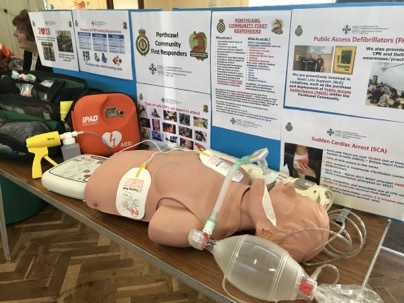 Also my thanks to the Porthcawl, Measteg and Coity & Bridgend CFR team members that helped out with the practical elements. 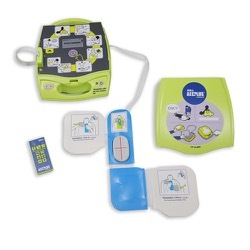 Watch out for further dates as more Public Access Defibrillators are installed in and around the Porthcawl Community. 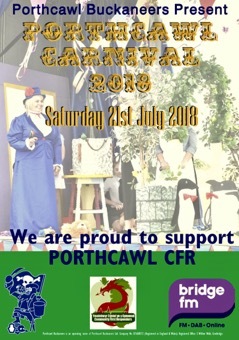 Thank you so much to the organising committee of the Porthcawl Buckaneers for the very generous donation to our team at the Porthcawl Carnival Presentation evening held at the Hi Tide in Porthcawl. We were extreamly grateful to be one of the principle beneficiaries from the 2018 Carnival. This donation will go a long way in allowing us to install another Public Access Defibrillator within the Porthcawl community. 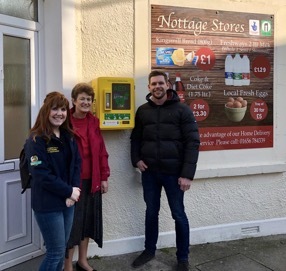 During February another two Public Access Defibrillators (PADS) were formally handed over by the Porthcawl Town Council Mayor, Councillor Norah Clarke. One is located at the 'Old School Room' (aka the Newton Church Hall) on Newton Green and the other at Nottage Stores. Both were procured with a grant from the Porthcawl Town Council bringing the total installed with over the past few months to four and we are hoping to install several more over the coming months. 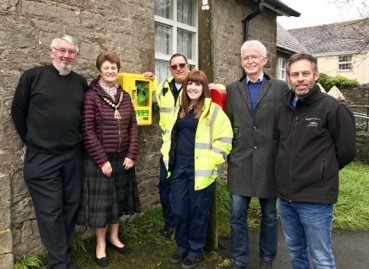 The Porthcawl Community First Responders are extremely grateful to Father Philip Masson of the Parish of Newton Nottage for allowing us to locate the PAD on the Old School Room at Newton Green, and to Andy Moss and his team from Moss Technical Services Ltd its installation. A huge thanks also goes to James Hill from the Nottage Stores for agreeing to the installation on his store in Nottage and to Nathan and Chris of NHL Electrical and Telecommunications for carrying out the installation there. 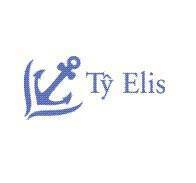 Just goes to show that when the people of Porthcawl work together great things happen. 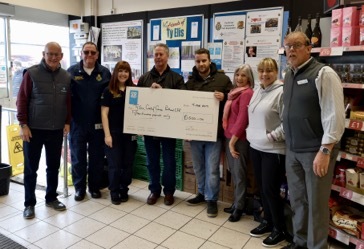 Working in cooperation with Joe Williams, Landlord of Seahorse Inn, Porthcawl, quizmaster Gwyn Jones of Seagull Inn, Nottage and Kerry Marlow the Porthcawl Co-op Member Pioneer the three causes for 2019, Ty Elis Counselling, Cost of Cancer and Porthcawl Community First Responders each received a share of the £1500 raised by quizzes held at the Seahourse and Seagull pubs, along with a 'pack picking' day at the Porthcawl Co-op in Lias Road Porthcawl. 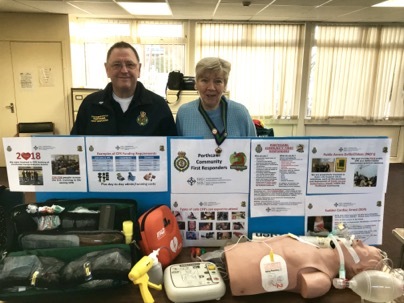 We have already put our share to very good use in the purchase of a Training Defibrillator that has since been used during 'CPR and Defibrillator Awareness & Practical' sessions run within the Porthcawl Community. 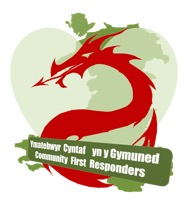 A huge thank you to the people of Porthcawl for so generous supporting the three local causes. 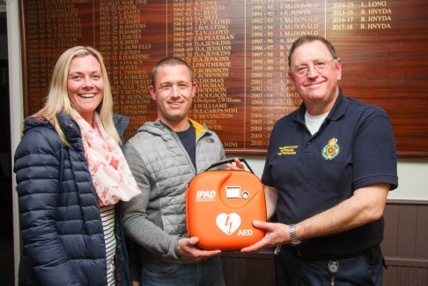 Superb evening at Porthcawl Rugby Club who received their defibrillator from Welsh Hearts. 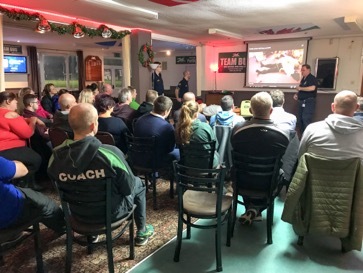 As a team we were extremely pleased to help in the formal handover of defibrillator on behalf of Welsh Hearts and in supporting them in providing a 'CPR and Defibrillator Awareness and Practical' session where members of the club had a go at carrying out CPR and using a defibrillator. Thank you Porthcawl Towns Women's Guild for the invite to their Christmas Fayre held at Porthcawl Trinity Church Hall. 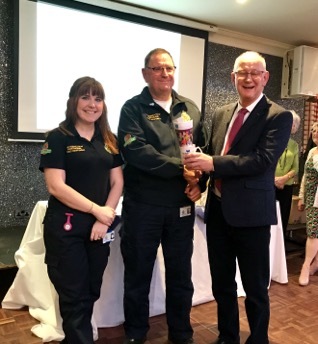 We had a wonderful welcome and we are very pleased to be nominated at the beneficiaries for this years event, it certain was a very successful morning and resulted in a very generous donation to the Porthcawl Community First Responders. 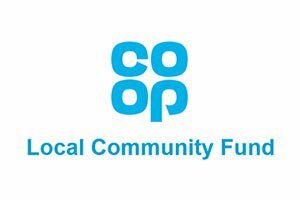 For details and information on the various fund raising events that will be held over the coming year as part of the Porthcawl Co-op Local Community Fund, please visit our "Co-op Local Causes" page - just click the link.